Have you made a decision to give something up for Lent? In theory, I have given up requesting books from the library catalogue (unless they are the next book in a series I am reading) and also requesting books from places like Netgalley and Edelweiss! Notice I said in theory. I may have requested a picture book a few minutes ago for reasons that will become clear later in the post, but other than that I have been trying to stay strong! Claire has Mr Linky this week so head over to her blog to leave the link to your Library Loot post! 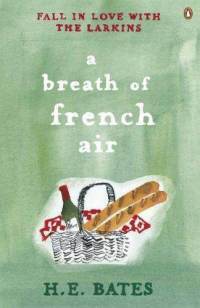 A Breath of French Air by H E Bates - This is the second book in the Darling Buds of May series. Like the last one, I had to get this one via interlibrary loan. Somewhat strangely, when I googled for an image of this book cover, it also bought up the cover of a picture book called The Town Mouse and the Country Mouse which I think was one of my favourite picture books (if I am not getting my mouse stories mixed up!). Expect to see that book in my Library Loot in the next post! 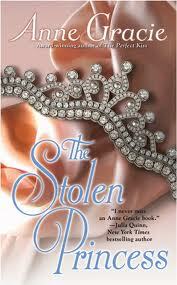 The Stolen Princess by Anne Gracie - I did something very unusual for me - I started reading a series at book number 5. The only reason I did this was that Anne Gracie was the special guest at my book club on Friday night and this, along with A Countess Below Stairs by Eva Ibbotson, was her choice of her books. Now I am going to go back and read book 1 of the series. 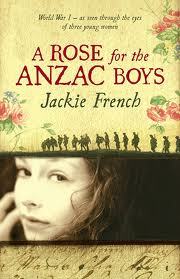 A Rose for the Anzac Boys by Jackie French - This would qualifiy for several challenges for this year, namely Aussie Author Challenge, Australian Women Writers Challenge and War Through the Generations. 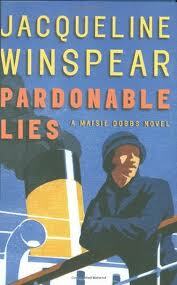 Pardonable Lies by Jacqueline Winspear - The next Maisie Dobbs book! 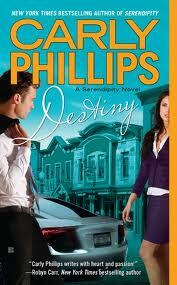 Destiny by Carly Phillips - The next book in the Serendipity series set in contemporary Serendipity, small town USA. I'm not familiar with any of those but enjoy your loot! I just read the Maisie Dobbs book and it was wonderful. Hope you enjoy it too! I do love those covers on the Darling Buds of May books! Enjoy your loot! They are cute covers aren't they! You guys have a great library over there, and there are a lot of books in this post that I would love to read! Enjoy them all! We are very lucky. Our library service is very good now, and looks like it is going to continue to grow! Stay strong! :-) Recently I limited myself to only one book on hold - does take a bit of self-discipline but also prevents those toppling piles of loot that's all become available at the same time. I keep hearing good things about the Maisie Dobbs books - I really should try one!